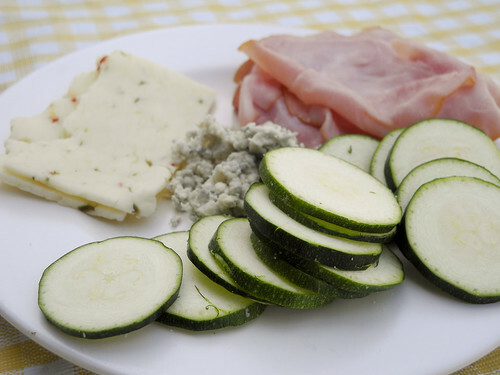 Yes I know that pepper jack and blue cheese are two very odd cheeses to put together. I wanted to show you how with this recipe you could actually use any kind of meat or cheese. What I love is that instead of 185 calories for 12 crackers you only have 18 calories for the zucchini chips! Amazing! Love this idea! Can’t wait until Zucchini are in season! Another healthy recipe, loved it! It’s really proper to eat such food, in order to maintain our healthy lifestyle and of course to protect our body from diseases.. Thanks for sharing the recipe.